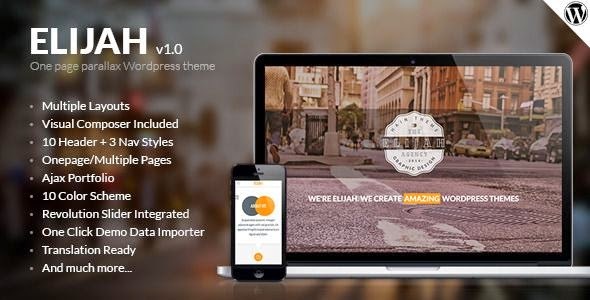 Elijah is very clean, flexible one page & multi page WordPress theme. It’s included to 6 demo layouts, ton of shortcodes with Visual Composer. You can choose any layouts by 1 click demo data and customize it easy. This theme is perfect for any corporate, business, travel, fashion, restaurant landing page template. Item Reviewed: Elijah New Onepage & Multi Layouts WordPress Theme 9 out of 10 based on 10 ratings. 9 user reviews.